I have been busy with the day job and haven’t been aboard for the past two weeks. So, with the weather forecast in mind, I rowed out to Blue Mistress this morning and, as you do, turned to admire her and check her over from a distance. The camera was in the bag so I drifted a while – took a couple of pictures. Something wasn’t right but it took a few moments to see it. 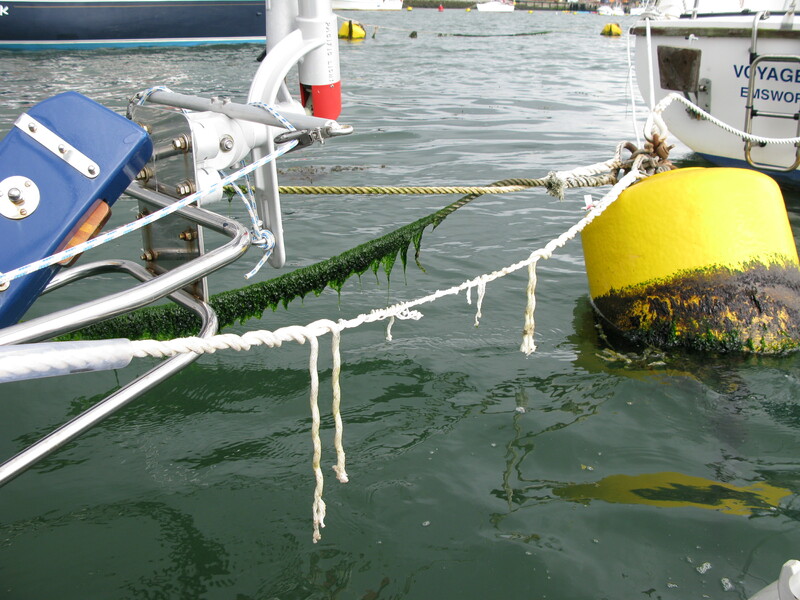 The weed-covered line rope is the trot line which joins the buoys together and doesn’t take any strain. The line of buoys are laid in line with the river current, but the tides are strong – especially the spring tides, and though the two stern lines theoretically hold the boat evenly onto the buoy, at different states of the tide cross currents and cross winds contrive to push the boats one way or another. Logic says the line caught on the self-steering gear. I worried about this possibility when we set it up last year. 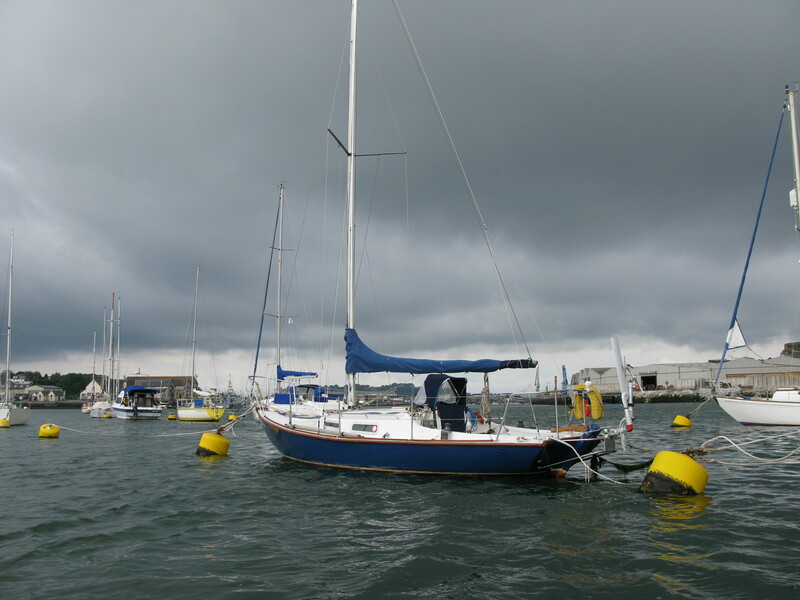 However, we stayed on the water through the winter storms and this is the first sign of chafe. There is plastic tubing where the lines cross the sten and its tempting to add another length mid-line. But this may make the lines cumbersome to retrieve single-handed where a certain amount of deftness and speed is called for to get at least one aft line and one fore line aboard before the current takes her. The splicing practice will be good. The rain set in shortly after I went aboard.